Bet Steelers-Browns under 45.5 at 888Sport. Bet Jaguars-Giants under 43.5 at 888Sport. Bet Bills-Ravens under 40.5 at 888Sport. Bet Chargers-Chiefs over 47.5 at 888Sport. As the 2018 NFL regular season gets underway, it’s a rare occasion from a totals perspective. At the moment, there are no games on the board that show a total in the 30s, as the lowest total is the Buffalo Bills-Baltimore Ravens game (40.5). By all accounts, this would be the first Week 1 in NFL history where there hasn’t been a game with a total in the 30s. That’s a testament to how offense-oriented the league has become in recent years with the rules changes to help offenses and hinder defenses. That said, the top NFL bookmakers have some attractive lines out there, and here are our totals picks for Week 1. We’re mostly going against the grain with three unders and just one over. 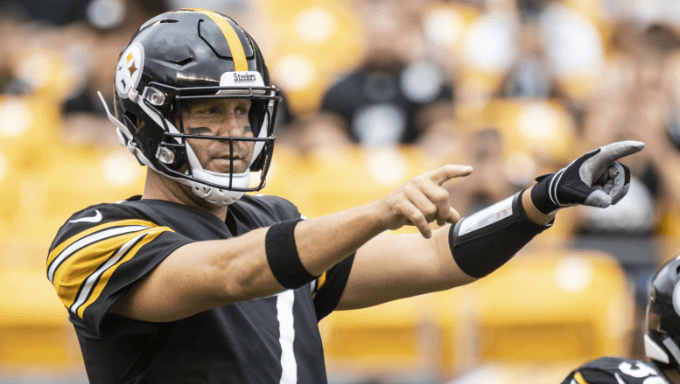 The health of Ben Roethlisberger was not letter-perfect in the offseason, which immediately introduces some questions and uncertainties about how crisp and polished he will be in a Week 1 game. The Steelers went through a number of very difficult offensive games last year – particularly on the road – and they will probably have more such games this season. They were second in scoring at home, averaging 29.8 points per game, but were 11th in scoring on the road. They averaged over a touchdown less per game at 22.5 when playing on the road. Not having running back Le’Veon Bell should only hamper the Steelers even more and limit their ability to keep the Browns’ defense off balance. As for the Browns, they have a retooled offense. While it’s not completely pathetic any longer, it doesn’t mean that this will be an explosive attack. They went from the bottom of the barrel to the middle of the pack – and it might even take them some time to get there. Take Steelers-Browns under 45.5 at 888Sport. The Jaguars’ elite defense, with what is clearly the best secondary in the NFL, should make life very difficult for Eli Manning and Odell Beckham. The Giants do have some big-name players, but they don’t have a deep roster of good players, and they also don’t have a tested and experienced offensive line which can be viewed with confidence against a defense as good as Jacksonville’s. Then, on the other side of the ball, Blake Bortles – for all the progress he made last season – is still not an elite quarterback who can take hold of situations and steadily guide the Jaguars’ offense to high point totals each week. If Eli hits a few long-ball touchdowns to Beckham, this game could go over the 43.5 number, but the smart money says to bet against that. This game should be a grind and an under. We’ll take Jaguars-Giants under 43.5 at 888Sport. Joe Flacco has been a bad NFL quarterback in recent years, but he has looked revived in the offseason and preseason. With a new cast around him and a young quarterback waiting in the wings motivating him, the he’s looked inspired. That means the Ravens should be able to score, get out in front and play with a lead in this contest. Meanwhile, Buffalo is going into Week 1 with Nathan Peterman, whose most notable aspect of performance in 2017 was his multi-interception disaster against the Chargers. The Bills offensive line is a mess and we can’t expect much from their running game or passing game – especially on the road against a quality defense. With the Ravens doing most of the scoring, this game should stay under the meager 40.5 line. We like the Bills-Ravens under 40.5 at 888Sport. The Chiefs are riding with Patrick Mahomes, an untested young gun who has great arm strength but very little experience. The Chargers’ pass rush might be the best in the NFL, so Mahomes will have his work cut out for him. While he’s bound to make some mistakes, this offense figures to have some explosive plays with Tyreke Hill, Sammy Watkins and Kareem Hunt in the mix. The Chargers have Philip Rivers running the show and he’s going up against a defense that looked nothing short of putrid in the preseason. They allowed starters and backups to produce extended drives and score points at will. The Chargers have a complete offense with Melvin Gordon, Keenan Allen, Mike Williams and Tyrell Williams. The Chargers could easily get into the 30s and the Chiefs shouldn’t be too far behind. Go over the 47.5 line. We’ll bet Chiefs-Chargers over 47.5 at 888Sport.